We always say something, something meaningful for both political and social change in our nations. The greed hasn’t stopped yet, as we continue the poetic wailing, politicians are still stealing. Zealots are still killing and you wonder where the world is going with greedy politicians who continue to defy the voice of the masses. Africa is being plundered day and night. 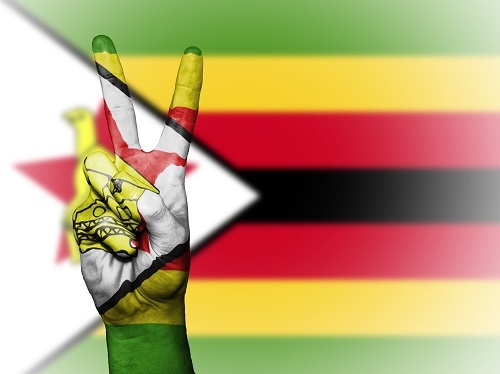 Zimbabwe has since become a haven of political violence, greed, poverty and corruption. The few remain holding the cake of the nation while many wallow in abject poverty. We work in the fields and dance to dust at rallies for them to reap. We are not going to be silent. We shall write, speak and voice through poetry. The masses need poverty, political violence and corruption to end. Thank you again voices Together We Rise – Mbizo Chirasha. from politics’ blood thirsty Pangs! May the vision of a new world within you shine. See through to the glory of the awakening age. Woven in history, like a mountain rope. Guided by our heart’s clearest light. A flowering of truth instead of pain. There’s their work, wisdom, and creativity. To make a loving harvest of space and time. Thinking that you too shall fall apart. Like a baobab as she thins like biltong. Toils I live to endure. Of the herd of my own sentiments. Carried away, an involuntary tear dropped from it…. Not while he was in the house! Stared into the eyes of this beast! But who would clear his young memory of this beast? Parading wares stolen from our coffers. Baba I stopped smoking this weed…. Violence is an national anthem in Kikuyana land. Vampire prey upon their own kin and blood. And are capped heroes of the struggle. Now dining with the former Pharaoh.